Preparations for Ramadan Nights 2018 are well underway, which will be held at the Expo Centre Sharjah. The 29th edition of the festival will be held for 17 days, from May 31 to June 16. Ramadan Nights promises to be a comprehensive shopping platform for residents and visitors preparing to observe Ramadan and celebrate Eid Al Fitr with discounts of up to 80 per cent on assorted goods. Being held as part of Sharjah Ramadan Festival organised by the Sharjah Chamber of Commerce and Industry, the Ramadan Nights will incorporate all the elements to help residents and visitors observe the fasting month of Ramadan and the ensuing Eid celebrations. The most enticing component that is set to drive visitor traffic is the huge discounts on some popular products and gadgets that most participants are offering. Add to this the presence of leading retailers, a wide range of household products, food courts and an exciting line-up of amusement activities; visitors will have a sure-shot Ramadan destination this season. "Ramadan Nights has been a staple event for the holy month for nearly three decades, marking Sharjah's unique addition to the season's festivities. It continues its reign as not only the UAE's, but also the region's, most anticipated shopping and entertainment extravaganza of the season," said Saif Mohamed Al Midfa, CEO - Expo Centre Sharjah. As part of Sharjah's Ramadan Festival, Ramadan Nights features a variety of activities including cultural programmes and food courts, country pavilions, games and raffle draws. It also features international pavilions with vendors from Thailand and China as well. 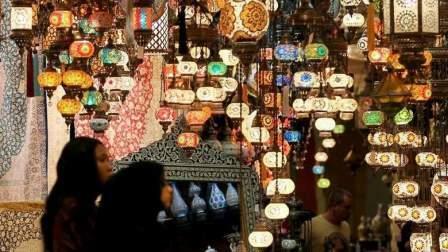 Recent studies have forecast a growth of up to 15 per cent in retail sales during this Ramadan. Nearly $253 billion in sales was grossed in 2016, set to reach $290 billion in 2018. The United Arab Emirates and Saudi Arabia account for nearly 80 per cent of that growth. Ramadan Nights offers the best opportunity to take advantage of a season when household and lifestyle items, gadgets and electronic appliances see a massive increase in sales.